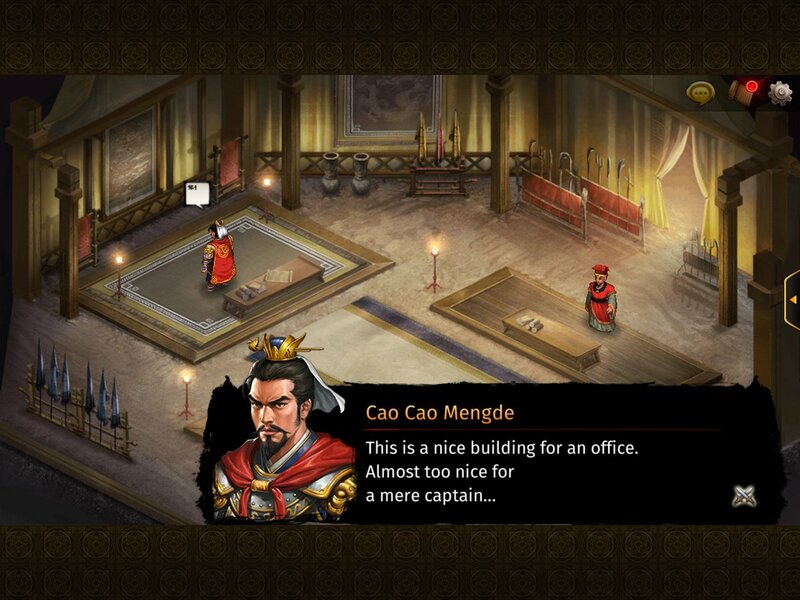 Romance of the Three Kingdoms: The Legend of CaoCao is a new free-to-play game that has been released on mobile devices by Nexon and Koei Tecmo, and it's surprisingly good. Before I get to that though, you'll see through this article I refer to "The Legend of CaoCao". This is incorrect, as the man's name is "Cao Cao" (surname first, given name second), but it was either write this in the introduction, or put (sic) after every time I use the title afterwards. It should be "The Legend of Cao Cao", but it's not. That oddly amateur game name aside (and for some reason the game gets his name right within the game itself), as I said, The Legend of CaoCao is surprisingly good, so far. Koei Tecmo's beautifully complex franchise of deep strategy games has been converted into a tactics JRPG of the same ilk as Fire Emblem Heroes, but this one is far more expansive, and therefore far more interesting than that one. 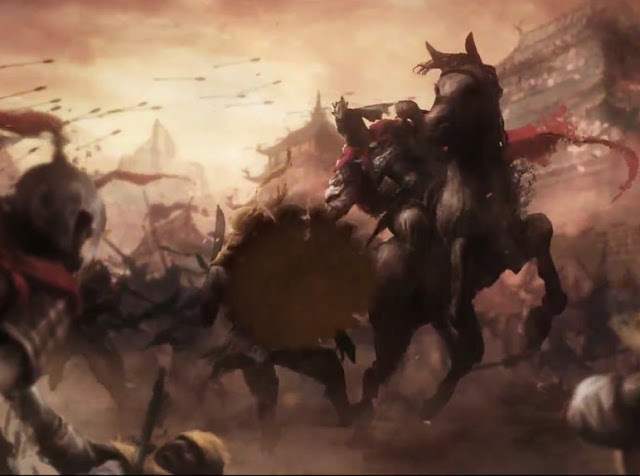 I say this with the disclaimer that like with so many mobile games I may well play this one for a couple of weeks before tiring of it (and that was certainly the case with Nexon's own mobile Dynasty Warriors game), but for now I'm loving what The Legend of CaoCao offers. Fire Emblem Heroes is a delight in so many ways (and indeed it's one of the few mobile games that I do still play), but it's so incredibly limited. Maps that you play on are tiny in size - rarely (if ever) bigger than a single screen in size, and the narrative is... functional, at best. It might use the characters from Fire Emblem (and plenty of bonus fanservice besides), but it doesn't capture many of the other elements that make Fire Emblem such a beloved series. The Legend of CaoCao carries the venerable name of Romance of the Three Kingdoms, but it's really a grand strategy title like that what you'll play on console or PC. Pushing that aside, though, it's done a remarkable job of capturing the storytelling of the characters and events in the era. As the title suggests, it focuses on the story of conquest of Cao Cao himself, and while I'm a little disappointed about that (I forever remain a Wu fan because of Sun Shangxiang), it's hard to complain when the characters are generally well-written and distinctive. Before each major battle and story mission there's plenty of chatter that goes on, and it's so rare for that chatter to be well-written in free-to-play mobile games, but in this case, it is. The battle maps themselves are huge, too. 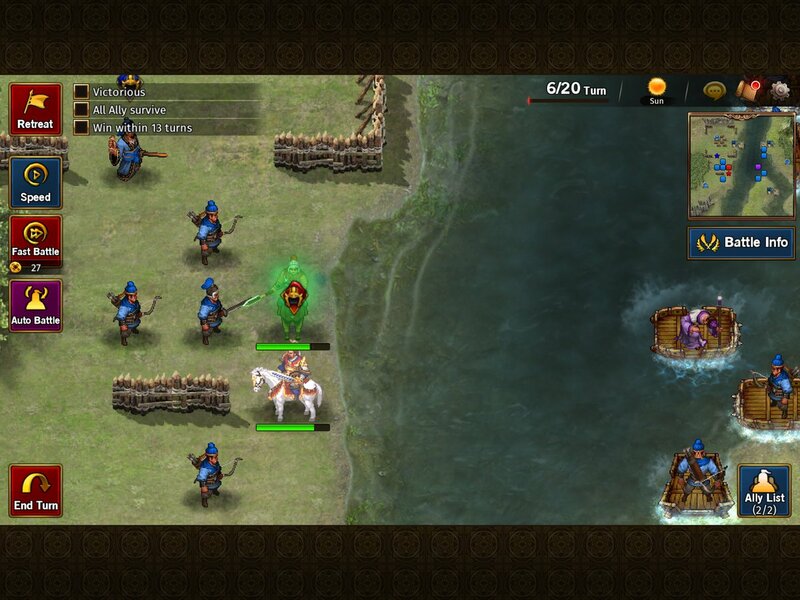 The typical map includes small groups of enemies placed in pockets along the way, and you'll need to take your (small, and selected from a large overall pool of heroes) force from one small group to the next, defeating them on the way to the boss. Some of the battlefields are even large enough to allow for alternate routes, giving the game a far more expansive and "premium" feel than the relatively constrained games that most tactics JRPGs consist of. Another great touch is the way the game does away with loot boxes for unlocking new characters. 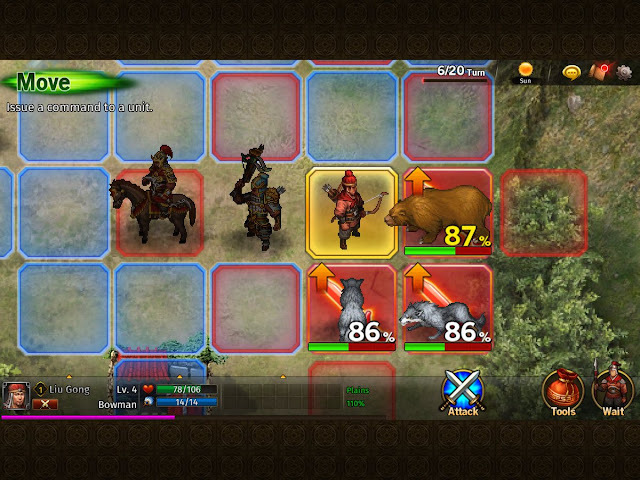 As soon as you have the resources, you can drop into a kind of "skill tree" and unlock new heroes. You'll know their names and backgrounds, and right from the start, you can plan to unlock favourite heroes from the Three Kingdom era. This is a big deal when compared to almost any other tactics JRPG on mobile. Those would all lock new characters away behind loot boxes and the random chance that you'll end up with dozens of the same character. The Legend of CaoCao even goes so far as to highlight this through the tutorial process with a cheeky little nod towards the increasing frustration people have with free-to-play mechanics. You can invest real money in the game's various currencies. I say the following guardedly given that I've been playing for less than a week, and there's currently special events going on giving players massive amounts of in-game currency, but so far I've been able to build up my forces (getting them better equipment) and castles (more on that in a second), without wanting to invest my own money. I'm a little concerned that there might be some pay-to-win mechanics in there as the game matures, but for now it's almost too generous in letting me get everything I need for free. I suspect the castles will be where this game makes its money. Outside of the story modes, you'll find yourself embroiled in competitive PvP gameplay where you need to capture a castle and fortify it up by placing troops and enhancing its defences. Then other players will attack whatever force you've set up. These attacks play out just like in the story mode, and it's actually a nice touch to be able to effectively design the "levels" for your opponents to overcome through unit placement. As with any free-to-play game, though, the potential is there in PvP for people who spend real money to get an advantage. Perhaps they're able to power up their heroes more quickly, or build their town's defences better. There doesn't seem to be any way to avoid all this - so far the single player and online multiplayer are all intertwined together. It's an inevitability for any free to play game that the developer will try to incentivise you to spend real money on the game (and the problem with these games is the incentive is ongoing as long as you continue playing), but on the other hand, if I continue enjoying the game this much I'll probably throw it a few dollars for the simple fact that I'm finding it so enjoyable. Putting my concerns about the multiplayer to a side for a moment, everything else about The Legend of CaoCao is really good stuff. Excellent tactics JRPG action, stunning art, and a surprisingly good effort to tell the stories and dramas of the time. I was so concerned going into a "free-to-play Romance of the Three Kingdoms", because that series is the very definition of a complex, premium strategy game, but while this particular game might not be that, exactly, what I got instead was a genuinely delightful surprise.